On 30 March 1914, the first municipally owned motorbuses entered service in Coventry, six open top double-deck Maudslay vehicles providing a service to Stoke Heath away from the city’s tram routes. The service was short lived as the outbreak of the First World War prompted the requisitioning of the Maudslays’ chassis for military use. 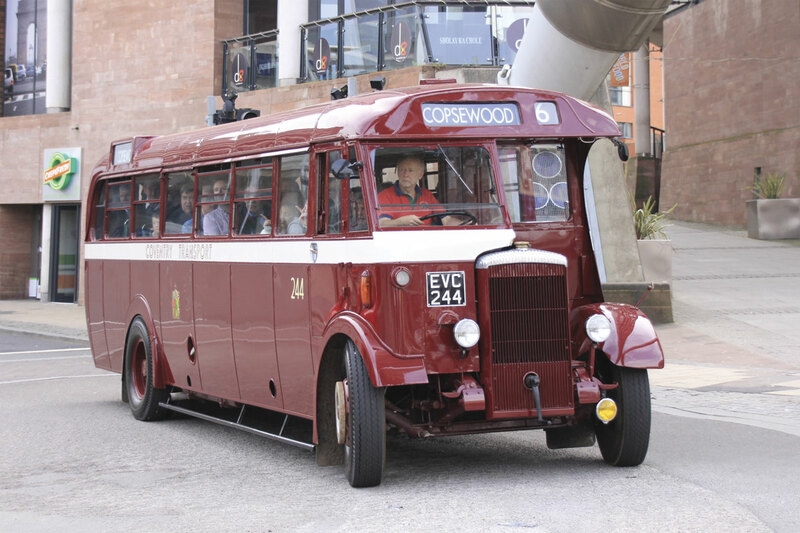 Resuming in 1919, the motor bus operation grew with new routes and tram replacement. 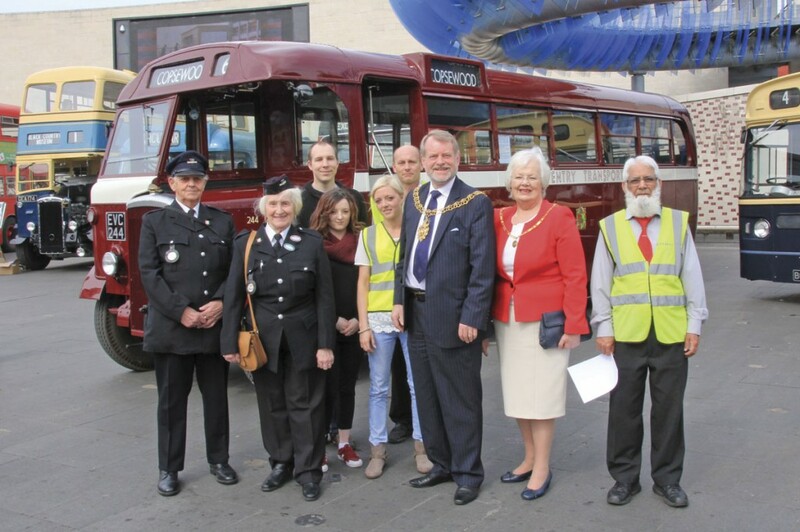 To celebrate the exact centenary of the first service and mark 40 years since the end of Coventry Corporation Transport, local organisations staged an ‘On The Buses’ family event in the city’s Millennium Square opposite the old fire station terminal point of that first service. 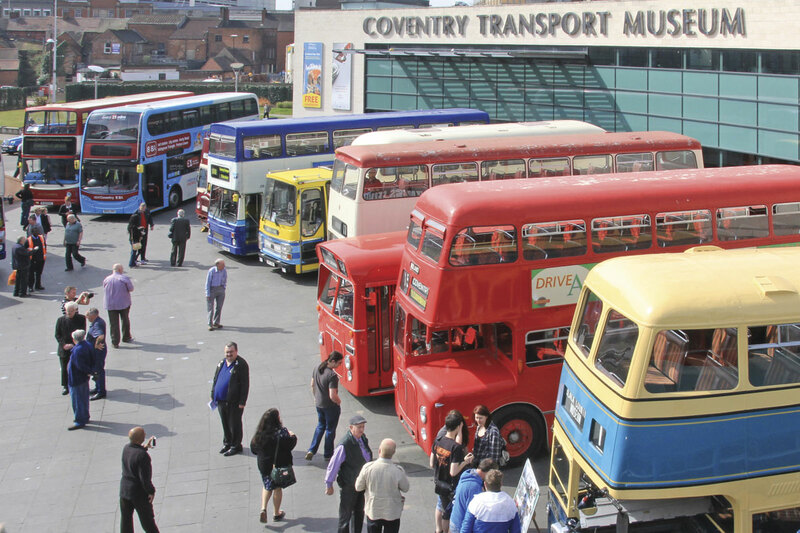 Millennium Square, the forecourt of Coventry’s soon to be expanded Transport Museum played host to some 20 vehicles with local connections. Representing current bus operations in the city, National Express Coventry supported the event with a recently delivered ADL Enviro 400 and their heritage livered ALX400 Trident. The Travel Coventry and WMPTE eras were recalled by a number of MCW Metrobuses and a Bristol VRT whilst Coventry Corporation Transport itself was represented by a Daimler Fleetline and two Daimler CVG6s from the later years of operation plus a superbly restored 1940 Daimler COG5/40 single decker. 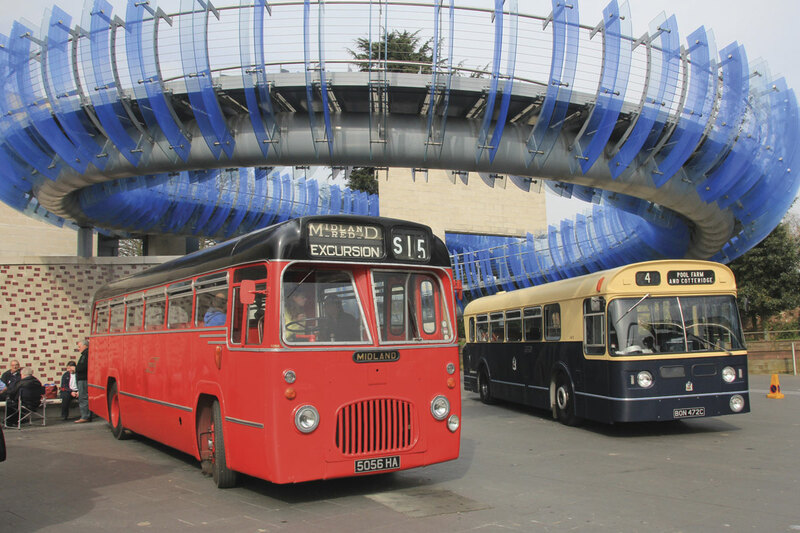 Millennium Square also contained a variety of family activity opportunities and the museum foyer hosted an extensive display of model buses. A stage area was erected on a higher level pavement alongside where presentations were made by the Lord Mayor of Coventry, accompanied by the Lady Mayoress, including the recognition of National Express Coventry’s longest serving employee, Abdul Majid Khan who started as a conductor with Coventry Corporation in 1970. The Mayoral party then took a ride around the city on the COG5/40, ably driven by John Handford. 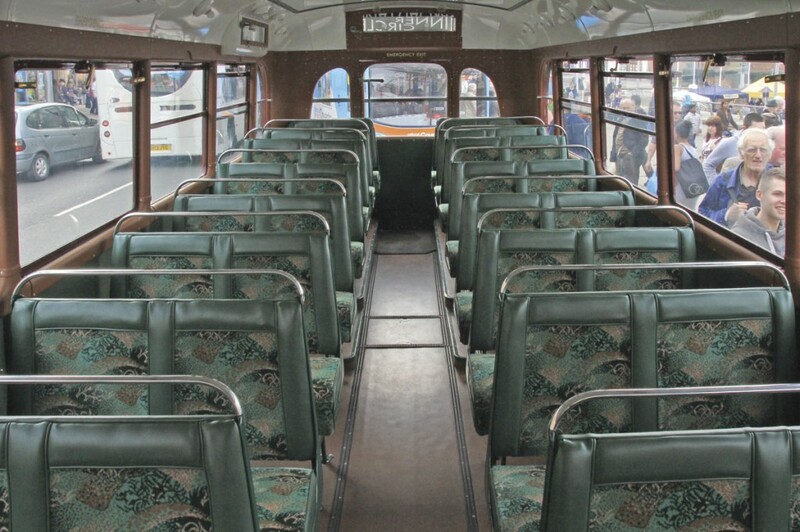 The programme of free bus rides using a variety of heritage vehicles co-ordinated by Roger Burdett proved very popular with extra departures necessary. 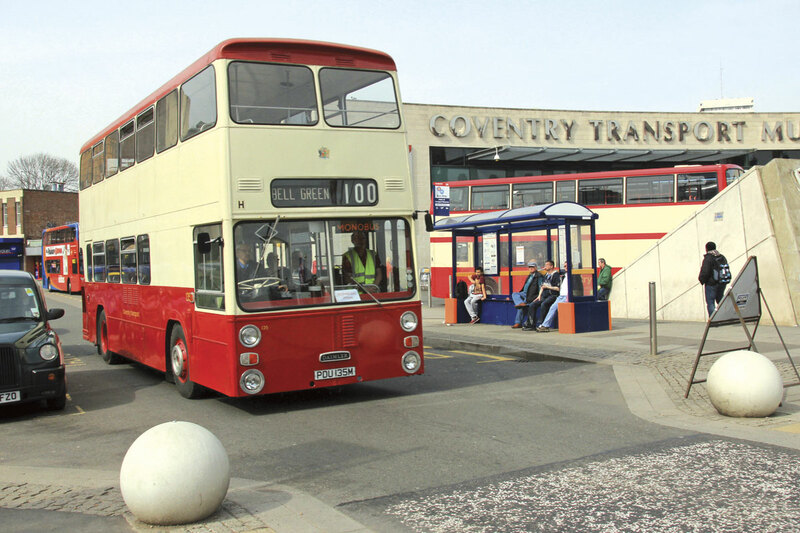 The four Coventry vehicles recreated a variety of city routes and there were services ‘over the boundary’ with a recently restored Midland Red S22. Taking a ride on the COG5/40, it was easy to appreciate the quality of the restoration and the compactness of the vehicle’s design to increase carrying capacity. Coventry’s General Manager had worked with Daimler in the 1930s to improve vehicle design, in the COG5/40 the radiator was made vertical and the front bulkhead moved forward over the flywheel casing of the compact Gardner five-cylinder engine making room for an extra row of seats within the then maximum permitted dimensions. As a consequence, the cab area could be described as compact. The porch type entrance with door at floor level provides a reminder that the population in the 1930s was generally less rounded than today. 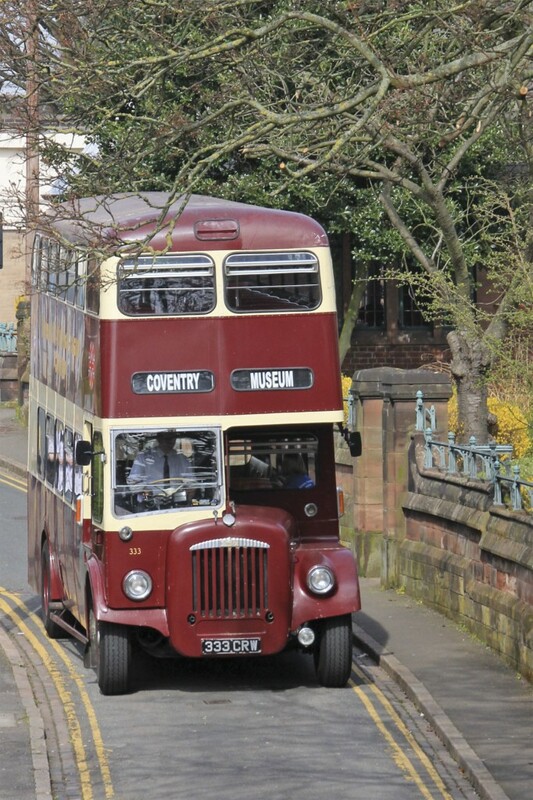 The survival of the Coventry example is down to its sale after just nine years service to Derby Corporation Transport where it was used as a driver training vehicle, eventually passing to that city’s museum. It is now on very long term loan to its restorer, Roger Burdett. There was a good level of public interest in the event with Millennium Square busy and bus rides well patronised. Organiser, Clint Hancox, was pleased with the response and confirmed that profits from the sale of a well illustrated programme together with collections made throughout the day would provide a significant donation to the Warwickshire Air Ambulance charity.